Christmas and New Year is round the corner, so you should try to show your culinary skills cooking something tasty and unique. 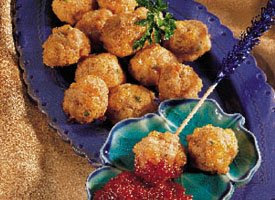 Try out our tested and tempting Festive Sausage Balls Recipe. You can prepare Festive Sausage Balls and serve them with dips on celebrations and parties. This one is a good appetizer to go for. The preparation is easy and child-friendly. Your child can help you make this if you want. A good alternative dip here is sweet garlic mayo. The recipe would be: a minced garlic or garlic powder, mustard, sugar, salt, and mayonnaise. You can add parsley if you like to add a minty flavor.